Łukasz is an open-minded engineer with 10+ years of professional experience. 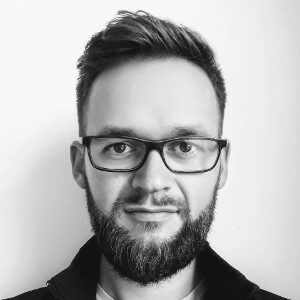 Apart from his role as System Engineer at Nokia he got himself involved in activities of Nokia Garage in Wrocław, where he is mainly focused on IoT related topics. Effective communication (between people… usually ;)) is one of his main personal interests. Can you imagine that there are people with tons of extraordinary ideas, but they are missing some piece of a puzzle to make their dreams a reality? Maybe you are one of them actually? I will share with you some thoughts about the power of Connecting People in the context of Innovation. Perhaps you wonder if being open makes sense and what Nokia Garage in Wrocław has to do with all of this :) Feel invited to join!